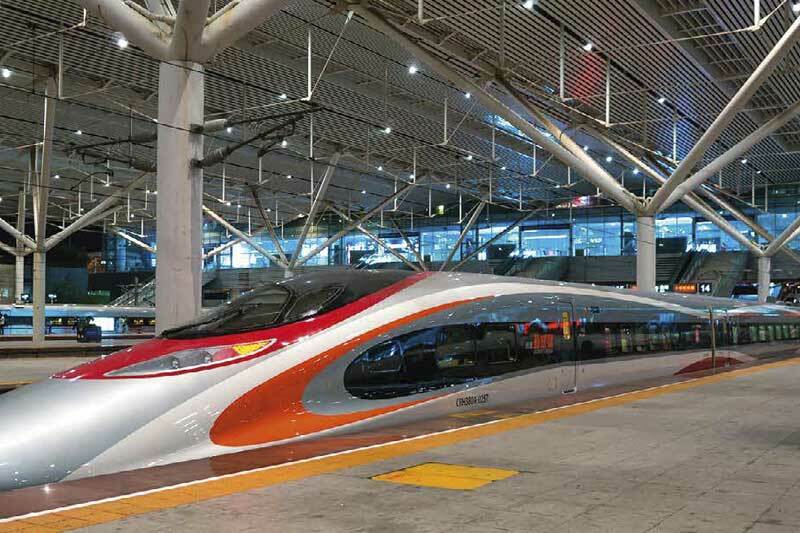 A new bullet train service between Hong Kong and Guangzhou on the mainland whisks travellers in a speedy 40 minutes. While more efficient than airport commutes with potential flight delays, travellers must still arrive early for security and immigration. The trains have two classes of seats, Standard Class and First Class. The stations involved are the Guangzhou South railway station, a quick stop in Shenzhen, and on the Hong Kong end of the High Speed Rail line, the futuristic West Kowloon station, conveniently located between the Kowloon (MTR and Airport Express) and Austin (MTR) stations. Timetables can be downloaded via a special High Speed Rail app, which also includes trip planning, advice on which station exit to use, and other practical information. Tickets can be purchased in person, over the phone, and online. The new high-speed railway will travel at 200kph (or 120mph) to 44 destinations in the mainland. A first class ticket on the Vibrant Express train from Hong Kong to Guangzhou costs around HK$370 and a second class ticket HK$247.